Item # 308435 Stash Points: 6,495 (?) This is the number of points you get in The Zumiez Stash for purchasing this item. Stash points are redeemable for exclusive rewards only available to Zumiez Stash members. To redeem your points check out the rewards catalog on thestash.zumiez.com. 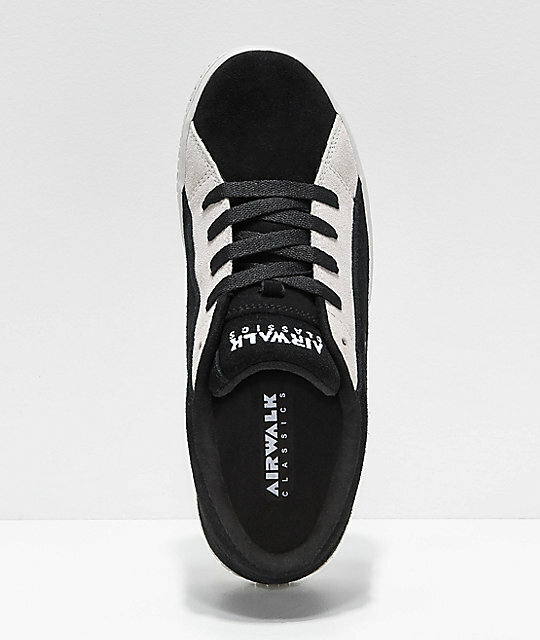 Give your shoe game some 1990s flair with the Airwalk Random Black, White & Grey Skate Shoes. Some of the most iconic shoes in skateboarding throughout the years remain at the forefront of the industry with a cupsole construction for comfort and double stitching throughout for added durability. 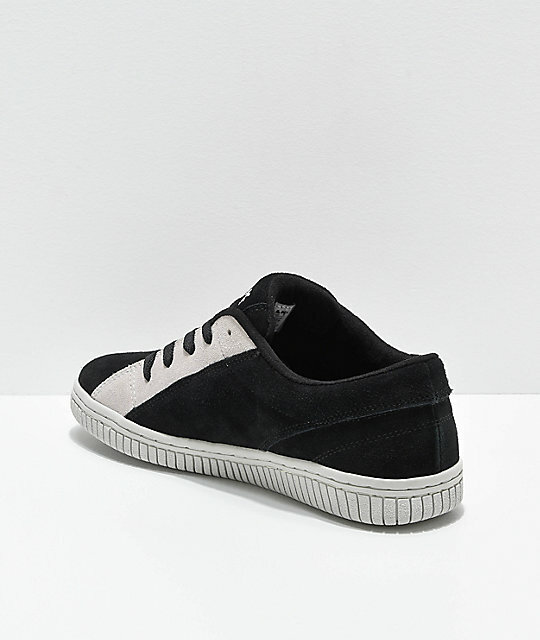 Cushion throughout the tongue and collar add serious comfort points and the traditionally hexagon shaped tread outsole construction ensures excellent grip on almost any surface. 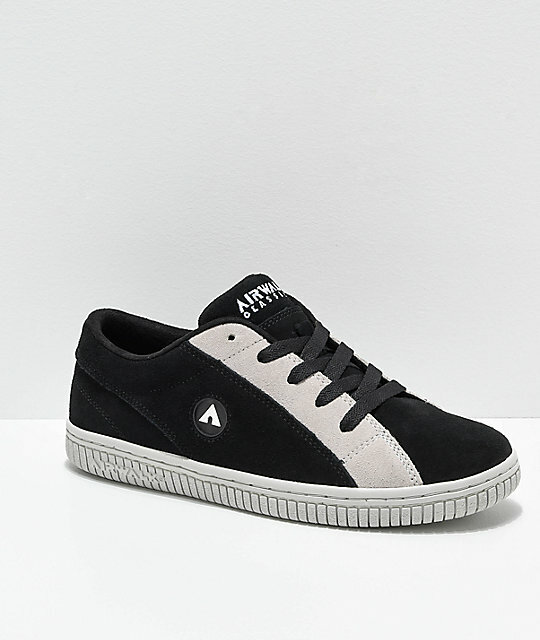 Random Black, White & Grey Skate Shoes from Airwalk.